Listening experience in infancy is critical for the development of both speech and language in young children and a strong spoken language base is essential for reading. 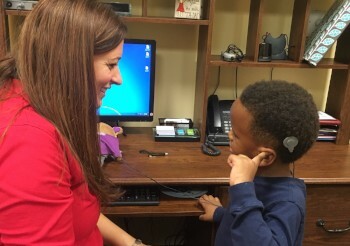 As part of their enrollment, MOSD children receive comprehensive audiological evaluations, including speech perception testing to monitor their listening progress over time. 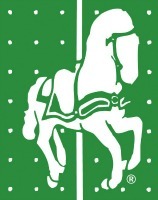 Cochlear implant mapping and hearing aid fine tuning is also offered to each family. 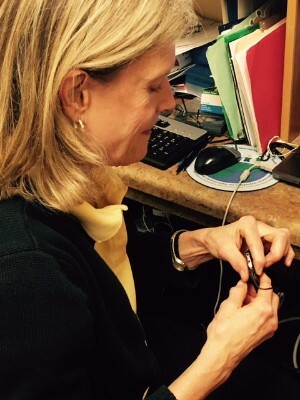 The audiologists at MOSD perform daily listening checks of hearing aids and perform hearing aid maintenance as needed. They are on site every day to troubleshoot cochlear implant and hearing aid issues so that our MOSD children don't miss a sound. They also provide daily aural habilitation (listening therapy) to our school children to help each child maximize his/her listening skills. Goals specific to each child's listening needs are established to take them from the basics of sound detection to high level auditory processing tasks. MOSD audiologists work as a team with MOSD speech language pathologists and teachers to help each child reach his/her educational, speech, language, and auditory goals. 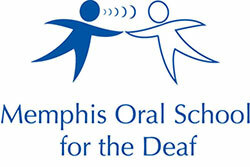 *These services are provided on-site at the Memphis Oral School for the Deaf.